A warm welcome awaits you at Thorne Park; a working farm is situated in a beautiful part of Devon known as Ruby Country. Gentle rolling countryside and stunning views make this a great location to relax and unwind. Based within our home we offer a really warm welcome, tastefully decorated ensuite rooms with tea/coffee making facilities, TV and DVD. Enjoy wonderful Farmhouse breakfast’s usually served in our conservatory overlooking our pretty garden and the rolling Ruby Country countryside. You are welcome to relax in our sitting room, which offers a quiet retreat for reading or watching a favourite film. On a less warm day the wood-burning stove makes this even more comfortable and inviting. Alternatively relax in the conservatory, which overlooks our pretty garden. Breakfast often includes fresh eggs from our hens and locally sourced bacon and sausages plus fresh bread. 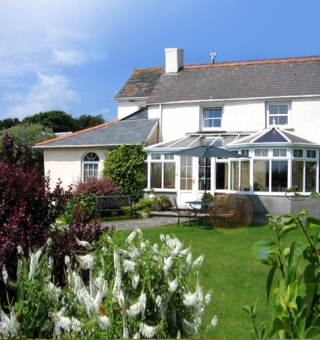 This entry was posted in Accommodation, Bed and breakfast and tagged accommodation, Devon, farm holidays, Holsworthy, ruby country. Bookmark the permalink.